“Well, I believe he is Lord for you,” came the response. After reading that conversation, I realized my presuppositions of youth ministry that I had brought with me into college would need to be modified, at least a little bit. Unknown to me, this book started me down the long road of radically rethinking what it means to be a Christian, do ministry, and be a church. My theology also ended up shifting significantly. For me, this was the book that got the ball rolling. 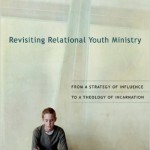 In the book, Tony sets forth a philosophy of ministry that is sensitive to our current postmodern context. One of the best features of the book is that other authors were asked to comment on the book and their thoughts are in the margins of the book, right alongside the main text. There are comments by Rudy Carrasco, Brad Cecil, Mark Driscoll, Dan Kimball, Brian McLaren, Sally Morgenthaler, Doug Pagitt, Kara Powell, Leonard Sweet, Pete Ward, and Mike Yaconelli. The pseudo-dialogue that this produces is great to observe and think about. Tony has left the youth ministry scene to some extent, now being the national coordinator of Emergent Village, but he still does a lot of work with youth ministry organizations, denominations, and churches. As of 2006, he was still a staple of the Youth Specialties National Youth Worker Convention. You will be blessed and stretched by reading this book. More posts on this book to come. Hey, thanks for the great review! See you soon, I hope. Great book, loads of good stuff in this book, but if I had only one book to read for youth ministry this isn’t even in the top 15. 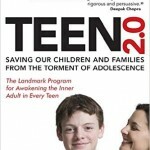 It’s great for helping us understand a paradigm shift that we are currently experiencing, but does not give many of the necessities of reaching today’s teenagers. Fun blog… plus you are not so flippin’ wordy. To the point… I like it. Thanks for the comment. Well, for your average youth worker who hasn’t read this book, I’d probably recommend it first. Of course, that’s just me. There are other great YM books out there that I would recommend to people who are at different points in their ministry lives..
I’m curious, what YM books have you found helpful?